A few months ago I saw a thread in a Facebook group about the materials that you ‘can’t live without’. 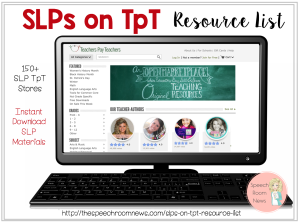 A preschool SLP wrote that Teddy Talker was her most used item. Since I’m now doing preschool only, I knew I had to do some research about what Teddy Talker could be! I reached out to the folks over at Creative Speech Products who sent me a copy of The Teddy Foundational Kit to test out. I’m so excited to finally share my review with you! I’ve had Teddy for a few months now so it is way past time I share this review! The Teddy Talker Foundational Kit includes a Teddy Talker™ Board, felt articulators, felt cue pieces, puppet tongue, speech bubble and Learning Letters. Teddy provides a great platform for discussion about the place, manner, and voicing of each sound. Teddy allows you to explicitly teach the position of oral structures for production with visuals. I have a ton of alphabet obsessed and hyperlexic special guys on my preschool caseload. 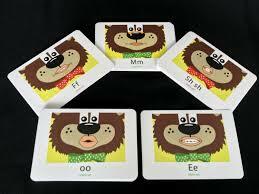 With them I start with the letter when I teach a sounds with Teddy. I add the speech bubble and the letter. 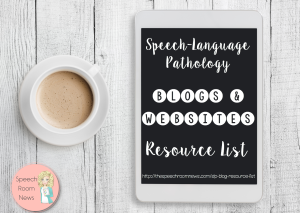 This is a great way to tie in those early literacy skills from the beginning in speech therapy. Next, I talk about lip positioning. This is so easy to model and my clients picked it up fast. Pull the correct lip positions for the sound you’re targeting and add them to the board. Use the manipulatives like the tongue puppet to represent the mouth, lips, and tongue in each part of the oral cavity! The bow tie on Teddy indicates if the sound is voiced or voiceless. Green stands for voice-on and red for voice-off. For nasal sounds there is a ‘honey’ drip that you add to the nose. This visual reminder is easily paired with a tactile prompt for students. There are a few specific ways I’ve been using Teddy. I have one group of apraxic students. I paired the Teddy set with my seasonal apraxia cards and introduced one sound per day in speech. After a few weeks with the big Teddy board, I just started bringing the Teddy Talker Mouth Cards each week. This works because I can still provide the visual support without the big set of Teddy materials. Carrying just the Mouth Cards saves me from hauling the big Teddy out each week but lets me have consistency in my cueing. My other best use of Teddy is for kids with phonological delays. 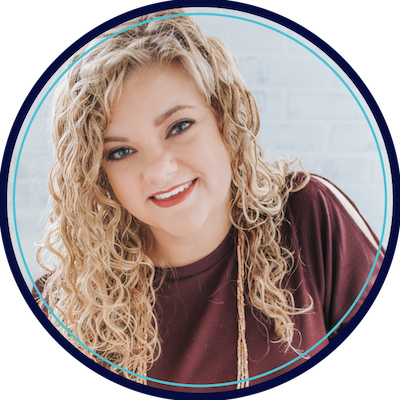 I have two clients who are using prevocalic voicing. They are having the hardest time with this skill. The bow tie has given us a a way to represent that voiceless sound in a simple, visual representation. Now when I point to my throat and reference the ‘on’ and ‘off’ they have visual supports. Teddy Talker has been easy to pair my with own seasonal lessons. In the picture above you can see leaves on the ground. We used plastic rakes and raked plastic leaves. For each leaf we raked we practiced our sound in isolation. I also stuck some of my Apraxia Leaf cards right to the felt board as we practiced words that started with /m/. Those cards already had velcro on the back from using them with our velcro tree poster so it was an easy adaptation! Just stick the target word to the speech bubble above Teddy! Here’s a quick video example of Teddy for the /m/ sound. Teddy Talker: Learning about M and its sound from Creative Speech Products on Vimeo. I love this video because you get to see Teddy’s parts moving! Pros: Teddy Talker just makes sense! We use visual supports to learning new language skills all the time. Teddy gives me visual supports to teach articulation! Copying Teddy is so much more engaging than copying an adult. 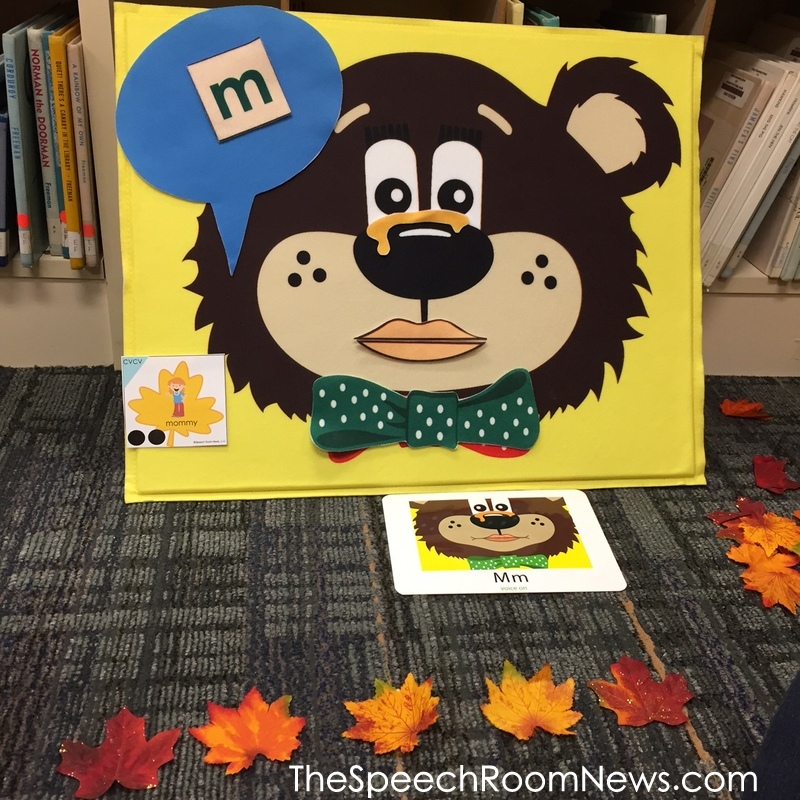 The multi-sensory integration that happens when student ‘build’ Teddy’s sounds is something every SLP will love. Cons: Like most speech items, this is going to make you even more of a bag lady! The Teddy Kit is a bit large, even without the optional stand. That’s what makes the mouth position cards great! They are what I carry day to day in my cart to save space! This product was provided for review by Creative Speech Products. No other compensation was provided and the opinions posted here are my own. 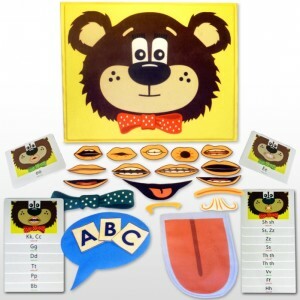 Head over to Creative Speech Products to purchase your own Teddy Talker kit. Show of hands? Who has used Teddy Talker before? Leave a comment if you have Teddy in your speech office/closet/school/cart! I’d love to hear how you’re using it! I really enjoy your blog and materials. I have moved from a K-5 setting to all special programs-mostly early-childhood and autism. In reading your review on Teddy talker I wondered if you have worked with Lively Letter and do you feel they are very similar. I have Lively Letter and have gone to a few trainings/workshops, but until this year have not had a great need for it. After reading you review I am thinking I should pull out my Lively Letter and give that a try on my 5! severe apraxic kids. Let me know what you think and thanks again for sharing all your hard work. I love the Teddy Talker Kit. Creator, Linda Siciliano was gracious enough to come to NH and present a workshop introducing Teddy. I agree the flannel board is unwieldy, but the cards make it more functional.